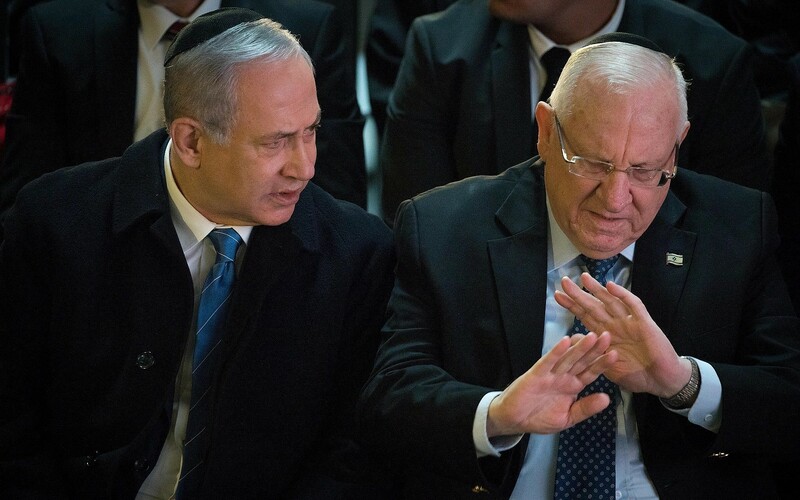 Prime Minister Benjamin Netanyahu told members of his Likud party that President Reuven Rivlin “is just looking for an excuse” to task rival Benny Gantz with forming a government after upcoming elections, in a recording aired Tuesday night by Israeli television. 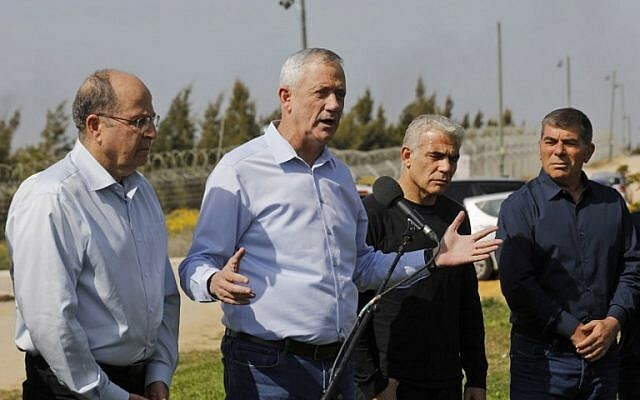 In the recording, which Channel 12 said was made earlier Tuesday at Likud headquarters, Netanyahu urged supporters to head to the polls on April 9, warning a large enough seat advantage for Gantz’s Blue and White could prevent Likud from forming the next government. “I see on the right, in Likud, an indifference, the numbers prove this,” Netanyahu can be heard saying. “Not only are Gantz and [Blue and White No. 2 Yair] Lapid beating us in the polls at the moment, they have a gap of a few more percentage [points] that will come to vote,” he continued, citing a poll aired Tuesday evening. It was not clear which survey Netanyahu was referring to. A poll aired by Channel 13 news that evening had Likud beating Blue and White by a single seat (29-28), though in most recent surveys Blue and White appears ahead of Likud. A Channel 12 poll on March 31 gave Blue and White a four-seat advantage over Likud (32-28). Following the airing of the recording, Rivlin’s office put out a statement condemning Netanyahu’s remarks. “This is another despicable attempt to harm the public’s trust in the president’s decision after the elections,” the statement said. “The president of the country won’t be tempted by flattery and is not afraid of attacks like these, which are repeated irresponsibly and motivated by cynical political considerations,” it added. Under Israeli law, the president can choose to give who he believes has the best chance of forming a ruling coalition the job of building a government. This does not have to be the head of the largest party, nor whoever got the most recommendations by other faction heads during their consultations with the president. 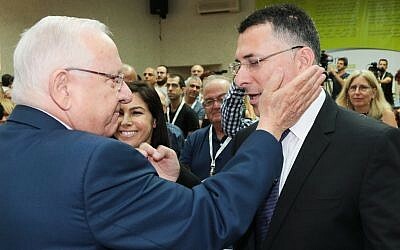 Though Blue and White has received more seats than Likud in most polls since it was created in February through a merger of Gantz’s Israel Resilience and Lapid’s Yesh Atid, surveys have predicted that along with center-left and Arab parties it would lack a majority to form a government. Likud, though forecast to be smaller, is expected to have an easier path to cobbling together enough seats for a majority coalition in light of the overall strength of right-wing and religious parties. Rivlin, a long-time Likud lawmaker before becoming president in 2014, has previously been accused of plotting to choose someone besides Netanyahu with weaving together a government. In October, the pro-Netanyahu Israel Hayom daily reported Rivlin would name someone else to form a new government, even if Likud under the prime minister was the largest vote-getter. Sources close to Netanyahu were quoted as saying the scheme was hatched by a former senior Likud member, whom the paper later named as ex-minister Gideon Sa’ar. In a bid to block the alleged scheme, Likud allies of Netanyahu proposed legislation that would bar the president from picking someone who is not a party leader with forming a government, but it was not passed into law before the Knesset dissolved in December for early elections.